Whitney Vickers | Greene County News Deer Heating and Cooling is giving away 350 hams and five-pound bags of potatoes as early as 9 a.m. Friday, Dec. 21. 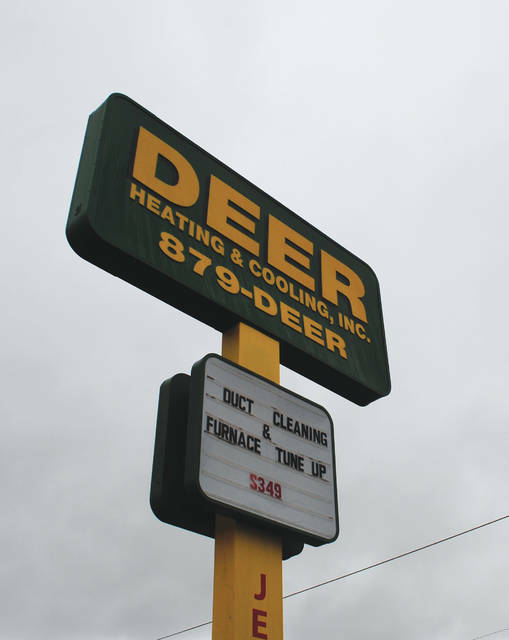 Deer Heating and Cooling is located at 351 N. Broad St.
FAIRBORN — Deer Heating and Cooling is in the spirit of giving once again as it is hosting the Eighth Annual Christmas Ham Giveaway Friday, Dec. 21. The business will give away 350 hams and 5-pound bags of potatoes on a first-come, first-served basis. One ham and sack of potatoes will be given away per vehicle. Participants do not need to identify themselves or prove their income as “ham day” — what the business refers to the giveaway as — is its way of simply saying “Merry Christmas.” Deer Heating and Cooling officials highlighted that the annual giveaway is something employees look forward to each year and is its way of giving back to the community it serves. The giveaway will take place at the main showroom location at 351 N. Broad St. beginning 9 a.m. Rehs highlighted that they sometimes begin the giveaway a bit earlier and have usually given all hams away between 11 a.m. and 12 p.m. For safety reasons, walk-ups will not be permitted. The Fairborn Police Department will be lending a hand to ensure that the giveaway goes smoothly. An officer will be stationed to count cars and ensure that no one enters the line after all 350 hams have been claimed. A lane of traffic on Broad Street will be blocked off until the giveaway concludes to keep the line moving. 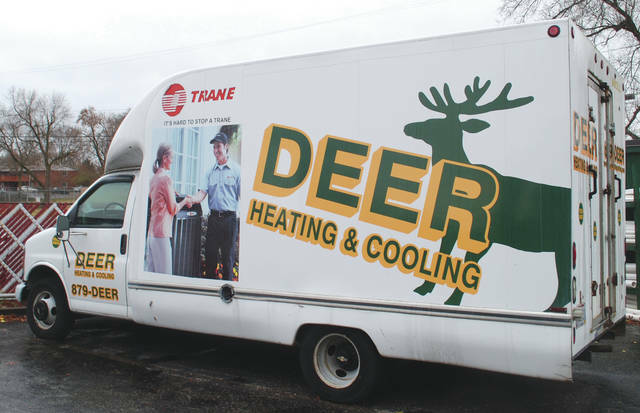 Deer Heating and Cooling, a faith-based company, will close noon Friday, Dec. 21 but will still take emergency service calls. Rehs encouraged ham giveaway participants to check out the live nativity scene in front of the main showroom. The company additionally partners with the school resource officers at Fairborn City Schools to sponsor a local family in need. https://www.fairborndailyherald.com/wp-content/uploads/sites/50/2018/11/web1_deer2.jpgWhitney Vickers | Greene County News Deer Heating and Cooling is giving away 350 hams and five-pound bags of potatoes as early as 9 a.m. Friday, Dec. 21.
https://www.fairborndailyherald.com/wp-content/uploads/sites/50/2018/11/web1_deer1.jpgDeer Heating and Cooling is located at 351 N. Broad St.